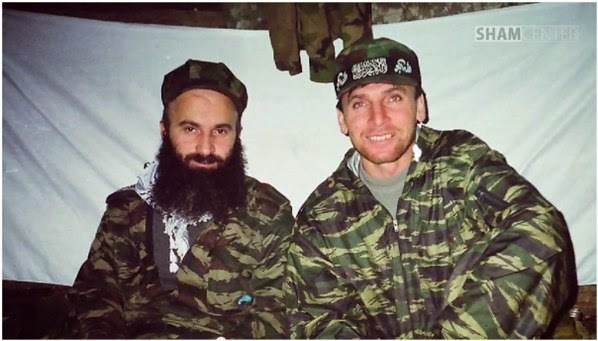 This entry was posted in Islamic Militancy, Russia, Russian Provocation, Syria and tagged Abkhazia, Abu Omar al-Shishani, Adam Deniyev, Ahmad Salama Mabruk, Akhmed Zakayev, al-Qaeda, Aleksandr Dugin, Alexander Litvinenko, Algeria, Anwar Sadat, apartment bombings, Aslan Maskhadov, Austria, Ayman al-Zawahiri, Ayman az-Zawahiri, Bosnia, Boston bombing, Chechen Republic of Ichkeria, Chechnya, CIA, Counterterrorism Centre, Dagestan, Dokka Umarov, Dzhokhar Dudayev, Egyptian Islamic Jihad, espionage, Evno Azeff, FSB, Geydar Dzhemal, GRU, Intelligence, Iran, Isa Umarov, ISIS, Islamic Rastokhez Party, Islamic Rebirth Party, Islamic Revival Party, Islamic State, Islamic terrorism, Jose Rodriguez, Kodori crisis, Mahmud Hisham al-Hennawi, Mikhail Trepashkin, Movladi Udugov, Murad Margoshvili, Muslem Abu Walid al-Shishani, Muslim al-Shishani, Novosasitili, Osama bin Laden, provocation, provokatsiya, Ruslan Gelayev, Russia, Ryazan, Salafi-jihadists, Shamil Basayev, Soviet Union, Supyan Abdullayev, Syria, Tarkhan Batirashvili, terrorism, The U.S.S.R. Islamic Revival Party, Tsarnaev brothers, Vladimir Putin, Vladimir Romanovich, Yasser Arafat on September 8, 2015 by KyleWOrton. Who Killed The Anti-Assad Imam In London? 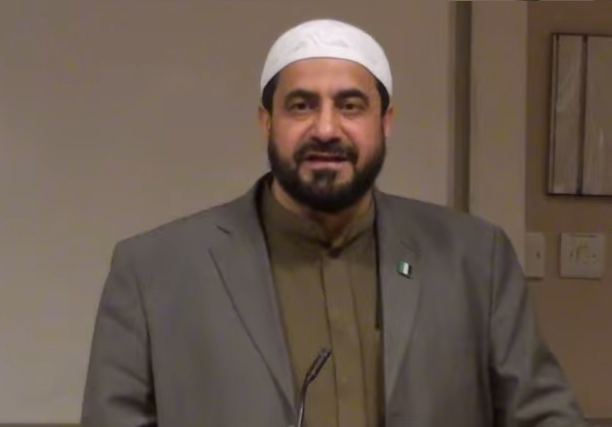 Abdul Hadi Arwani, a Syrian-born imam, was found shot dead in his car on Tuesday in Wembley, northwest London. The British police are still refusing to officially name Arwani, but his friends and supporters have done so. Arwani leaves behind six children. This entry was posted in British Domestic Terrorism, Islamic Militancy, Syria and tagged 1971 Bengal massacres, Abdul Hadi Arwani, Ahrar a-sham, Ahrar al-Sham, al-Qaeda, al-Shabab, Alexander Litvinenko, Ali Almanasfi, An-Noor Mosque, Anwar al-Awlaki, Bangladesh, Bashar al-Assad, Daud Abdullah, East London Mosque, East Pakistan, ETILAF, Georgi Markov, Hafez al-Assad, Hama, HAMAS, Iran, ISIS, Islamic Forum of Europe, Islamic State, Jabhat al-Nusra, Jabhat an-Nusra, Jamaat-e-Islami, Jihadi John, Jill Dando, jinn, Josip Broz Tito, Jugoslavija, KGB, kuffar, kufr, London Muslim Centre, Mohammed Ahmed Mohamed, Mohammed Emwazi, mukhabarat, Muslim Brotherhood, Muslim Council of Britain, provocation, provokatsiya, Raed Salah, Russia, secret police, sharia, Somalia, Soviet Union, Syria, Syrian Opposition Coalition, The National Coalition for Syrian Revolutionary and Opposition Forces, UDBA, Umbrella Murder, umma, Vinko Sindičić, Vladimir Putin, Yugoslavia on April 9, 2015 by KyleWOrton.